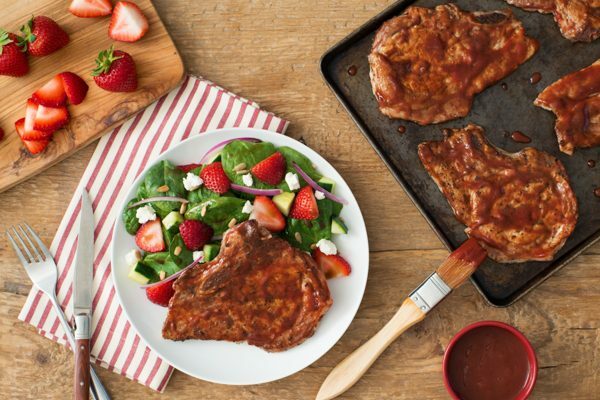 These Roasted Strawberry Glazed Pork Chops with Strawberry Spinach Salad will please both the health-conscious and carnivorous side of your family.The maple-balsamic dressing elevates this simple salad to something really special, making it the perfect accompaniment to a juicy, glazed pork chop. To appease the plant-eaters in your life, you can use this glaze on other plant-based proteins as well! Tofu, seitan, tempeh—or brush it over your favourite nut or lentil loaf for a wonderful flavour. Preheat oven to 425°F (220°C). 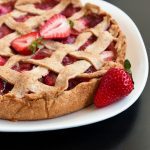 Arrange strawberries on foil-lined tray in even layer; roast for 15 to 20 minutes or until softened and caramelized. Scrape strawberries and juices into blender; purée until smooth. Pour into saucepan set over medium heat; add ketchup, sugar, vinegar, soy sauce, mustard, ginger, hot sauce, Worcestershire sauce and garlic. Bring to boil; cook, stirring frequently, for 10 minutes or until thickened and fragrant. Let cool completely. Season pork chops all over with salt and pepper. In large cast iron skillet, heat half of the oil over medium-high heat until almost smoking; cook pork chops, in batches, adding more oil as needed, for 3 minutes per side or until golden brown. Transfer to baking sheet fitted with wire rack. Brush pork chops with sauce; roast for 5 minutes. Turn pork chops and brush with sauce; roast for 5 to 7 minutes or until pork chops are well glazed and juices run clear. Let rest for 5 minutes. 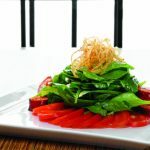 Strawberry Spinach Salad: Meanwhile, whisk together vinegar, maple syrup, Dijon mustard, salt and pepper; slowly whisk in oil until dressing is emulsified. 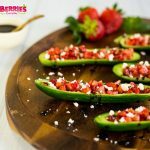 In large bowl, toss together spinach, strawberries, cucumbers, red onion and enough dressing to coat. Divide evenly among 6 dinner plates; sprinkle with goat cheese and sunflower seeds. Add glazed pork chop to each plate. - BBQ Sauce can be made up to 5 days in advance. 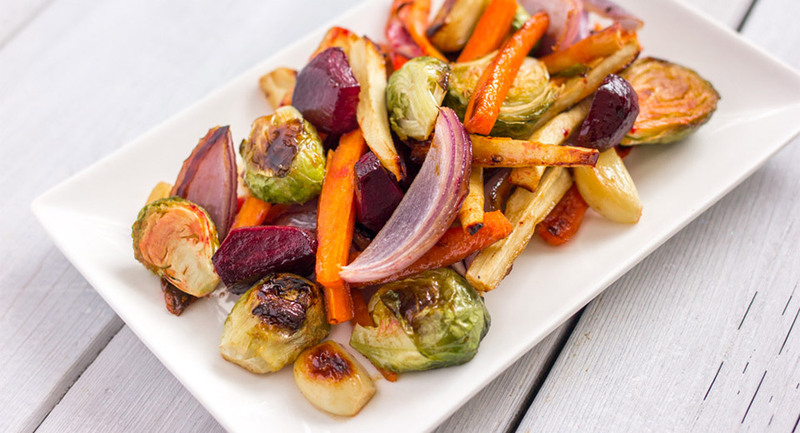 - Dressing can be tightly covered and stored in the refrigerator for up to 1 week. 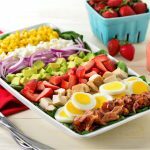 - Add cooked crumbled bacon to the salad and serve with grilled chicken breast for a light lunch entrée worthy of entertaining.